Hello. I'm new here, and soon I will post a demo of my cs mod, CSROB. If there are any questions, problems, or very hard parts where can't get past (which you might), you can ask and I'll come up with any answeres I can. 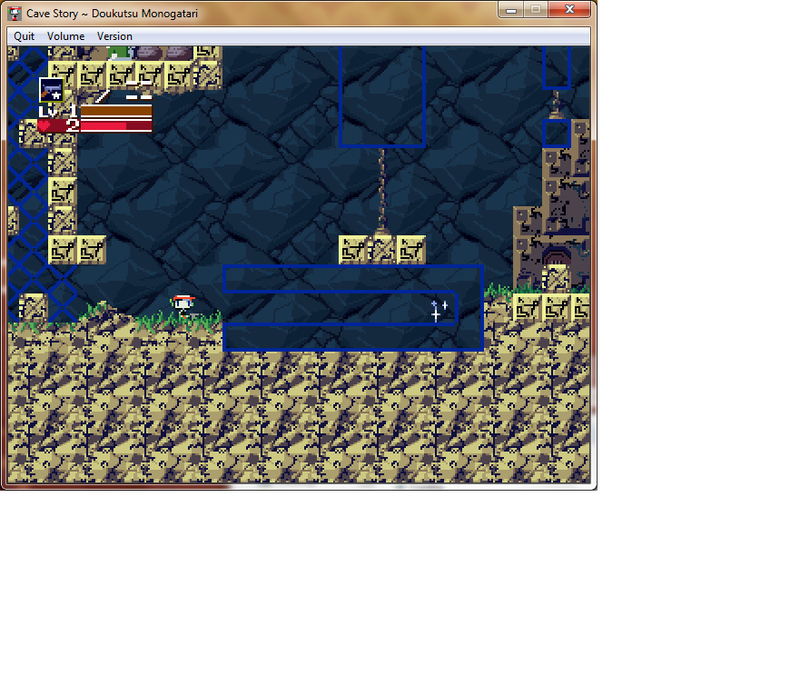 demo v0.3 is almost done as well. To make us a little more interested in your mod here, could you tell us a little about it? It makes us more likely to play the game. 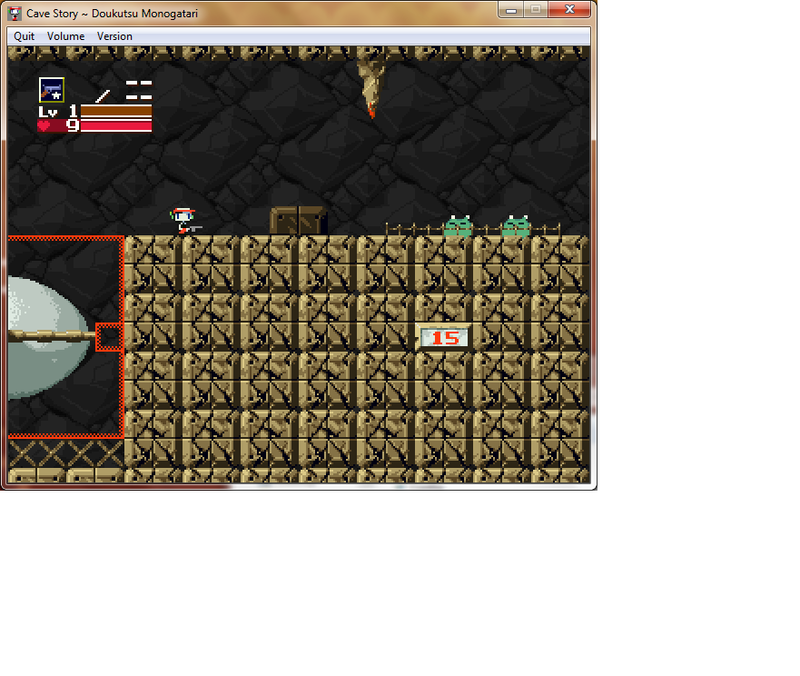 Cavestory: Revenge of Ballos... I presume it's a sequel to the original? I had so many cleaver puns, but none were sharp enough. Okay. I've basically finished the mod already anyway, and just need to test it. The only glitch so far would be when you're playing as Curly, and either the fog background doesn't work, or the fog background works but the game only scrolls at a speed of 1 pixel per second. Putting <KEY before the <MNA command at the scrips portions (ex. <KEY<MNA<CMU0030<FAI0000) will randomly work for some odd reason. 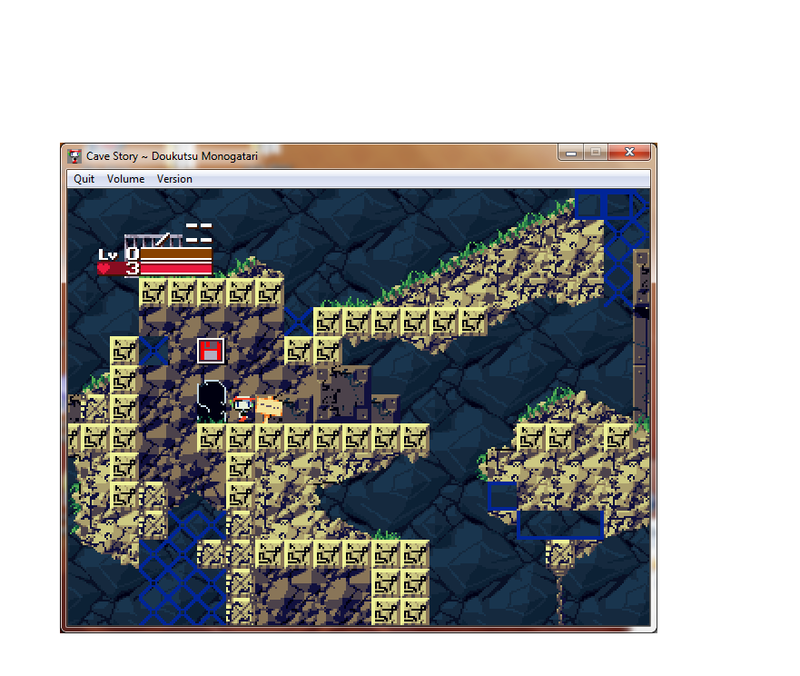 Anyway, this mod is yet another sequel to Cave Story's third ending. Somehow you're back in the first cave without [much] memory left above Mimiga Village, which is getting serious reconstructing, but for some reason Toroko and King are still alive, although the Graveyard clearly has graves for King and Toroko. After a wild goos chase with 3 clues, You end up in the shack again, but Balrog[?!] takes you to the doctor where he tells you to get Sue from the Egg Corridor (of all places) an you're suddenly there. But something's wrong and the Egg Corridor is in seperate time zones! When you finally get sue and bring her to the doctor, you and Sue dissapear, and you appear falling TOWARD THE MOON'S SURFACE!!! Well, that's all for now. I will most likely make a showcase thread with demo v0.3 sometime later today. EDIT: oh, yea, the screenshots will came a bit later as well. Well, (sorry about the double-post) here they are. (Honestly, I don't know quite how to do that so Itook pictures instead. The mod itself looks pretty interesting, from what I can see from the screenshots. I shall be awaiting its release. EDIT: oh, okay, thanks Noxid! EDIT EDIT: Now here's the screensots. On most Window oriented computers, the keyboard will contain a button which reads "PrntScr". Press it, go into paint, paste the screen shot, and crop it to the appropriate size. Click "Save" and name it whatever you feel you'll recognize the most. Upload the image, preferably postimage.org, and presto! All you need to do now is post them here. And that's what I did. I'm not slow to figure EVERYTHING out. Just some things. CSROB NOTICE: THE TESTING AND RELEASING OF THIS MOD WILL BE DELAYED UNTIL THE FOG BACKGROUND GLITCH IS RESOLVED, WHICH WILL MOST LIKELY TAKE TIME. ANY QUESTIONS? EDIT: WTF? My mod just started working all the sudden. Well, never mind the above lines. What does any of this have to do with ballos? Oh, Ballos will come later. I am about to release demo v0.3, and if you get to playing it, you will most likely run into him and not even know it at all. Thanks. It will be released in a few minuts.